Priced per module. Power supplies sold separately. Octolively modules are tileable, digital interactive LED surfaces filled with ultrabright LEDs that respond in complex and gentle ways to stimulus provided by human interaction. This is the "ready to use" version of Octolively. 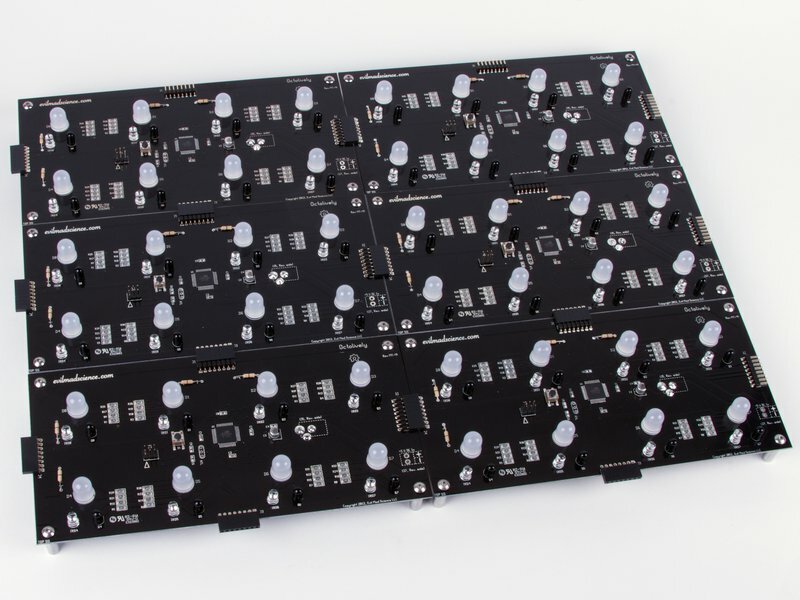 The modules come fully assembled and tested, ready to be installed where you want to put them. 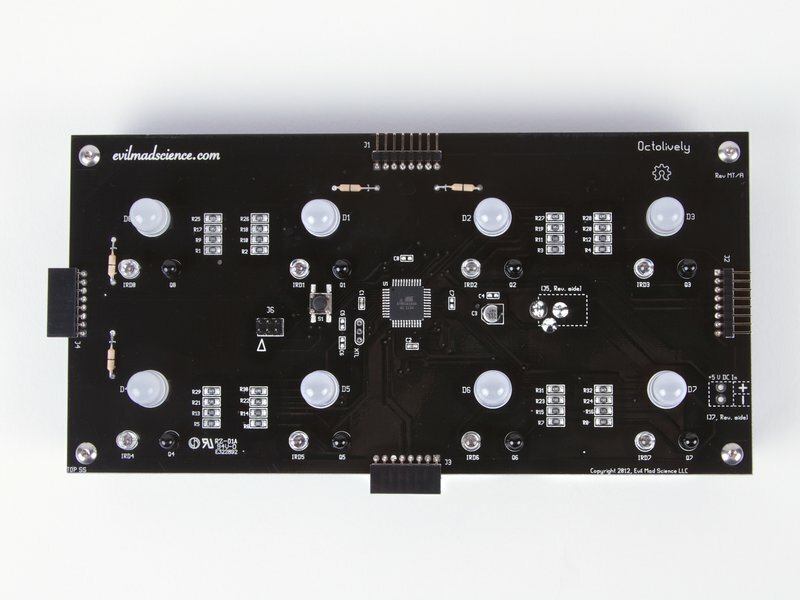 Octolively modules are also available as soldering kits. Each Octolively module is 4 × 8 inches (10.16 × 20.32 cm) in size, and features eight huge (10 mm) ultrabright LEDs, spaced along a two-inch grid. Each Octolively module also has eight infrared proximity sensors— one for every LED —to detect nearby motion, even in total darkness. The modules can be tiled edge-to-edge, seamlessly, in any size or shape of rectangular array. You can cover a full wall, or just make a long strip as narrow as 4 or 8 inches wide. 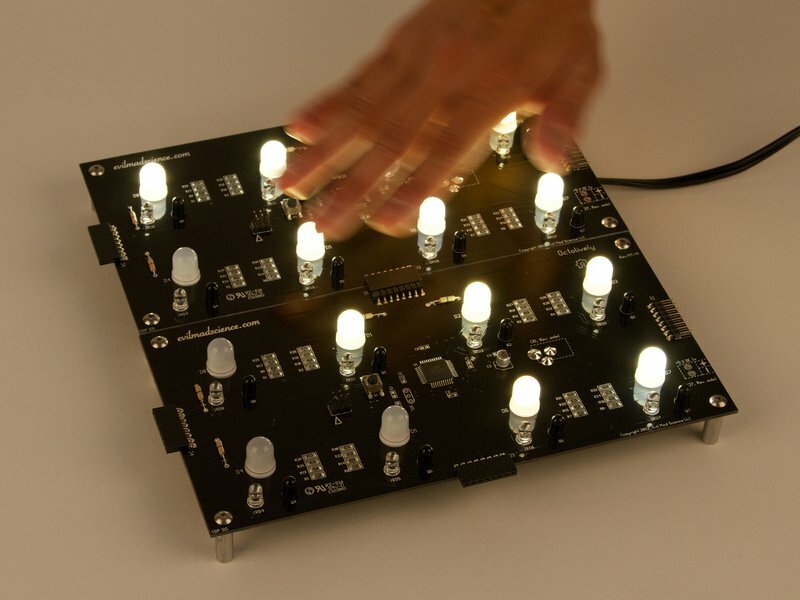 Octolively modules come pre-programmed with eight different effects that respond to motion and gradually fade back to idle when there is no motion— ideal for making interactive LED walls, bar tops, and coffee tables. 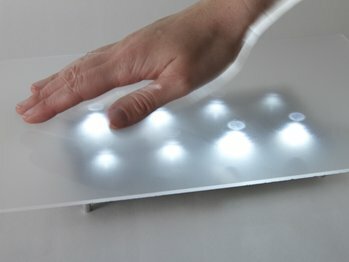 You can switch between the different effects with a button press: Gently fading trails after your motion, a "heat" mode that gets brighter as it detects more motion, simple positive and negative "shadow" effects that light the LEDs— or darken them —wherever you touch, ripple, sparkle, and a "melting" mode where activated pixels fade only very slowly. 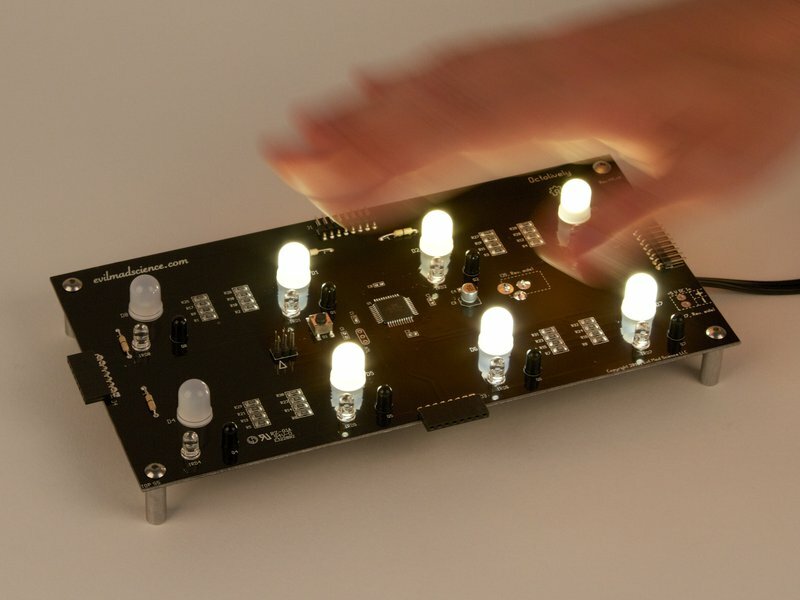 The Octolively version shown in the video is the soldering kit version. 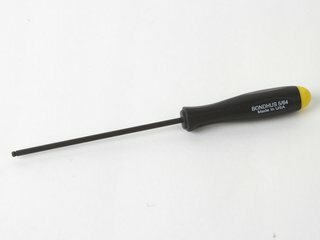 The ready to use version is the same shape and size, but comes fully assembled and tested. Each Octolively module is controlled by an on-board microcontroller and functions as a self-contained, stand-alone device. 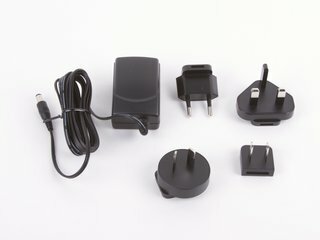 You do need to provide power (5 V DC), but no central computer nor complex communication wiring is needed. Because it's self contained, there is no trade-off between array size and performance. Octolively is a fully open source hardware+software design, designed to be hackable. An Octolively module, at its very brightest, requires just 1 W of power (200 mA at 5 V). When no motion is detected and the LEDs are off, the power consumption is about one quarter of that, as it does take a small amount of current to operate the sensors. Octolively modules require you to provide a regulated 5 V DC power supply in order to operate. 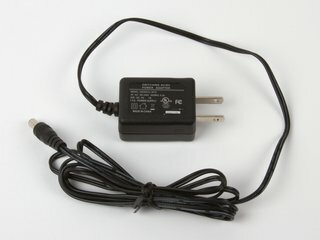 The power supply should have capacity for at least 200 mA per module. Note that the preassembled version of Octolively does not feature an on-board power switch. For small installations of up to 5 modules, we recommend powering Octolively modules with our 5 V, 1 A power supply; order one power supply for every five modules. For up to 15 modules (or larger arrays powered in groups of 15), you can use our 5 V, 3 A power supply. 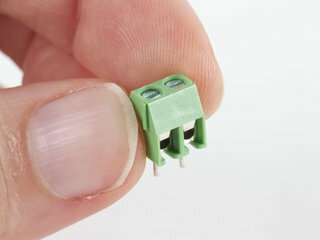 These types of power supplies plug into the included 2.5 x 5.5 mm barrel jack on the bottom of one of the modules, and can share power to four other modules through the Octolively's board-edge connectors. 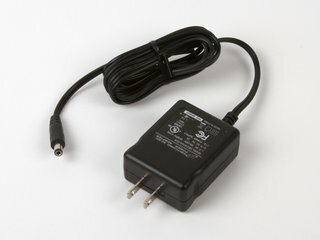 The power jack and board-edge connectors can pass up 4 A of current, so larger regulated 5 V power supplies (available elsewhere) can be used to power groups of up to 20 modules, sharing power through their edge connectors. 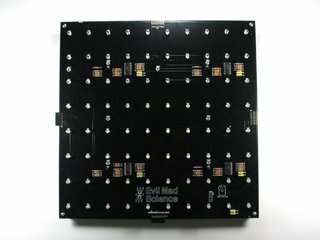 For large installations where smaller power supplies are less desirable, it may be advantageous to solder a two-position 3.5 mm screw terminal (sold separately) to many or all of the modules, and run individual wires from a large, central power supply to different areas of the grid. 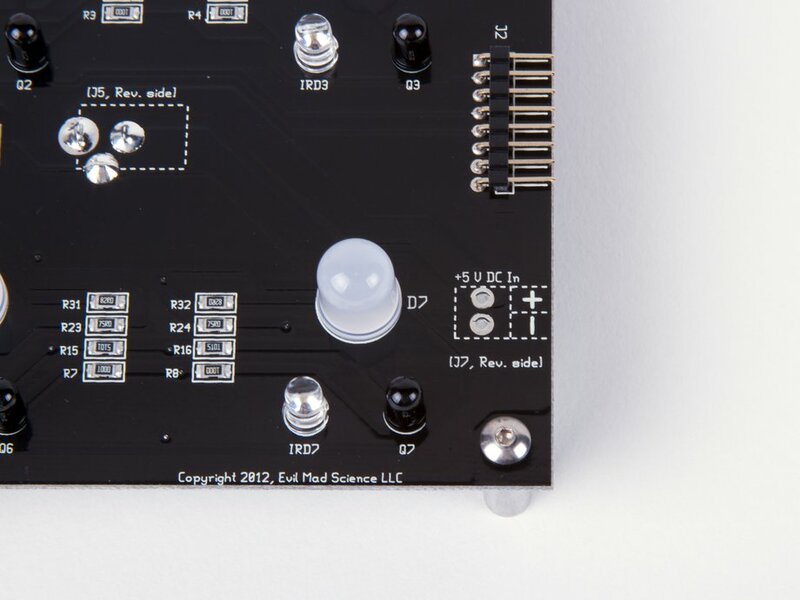 You can also solder wires directly into the screw terminal locations instead of using screw terminals. Octolively modules use a combination of active and passive near-infrared sensing to detect motion. 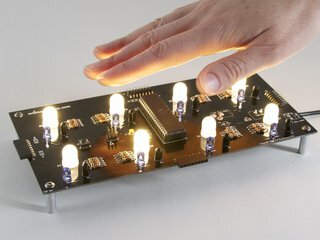 A sensing range of 10-15 cm is typical in a completely dark room, or in a room lit by fluorescent lighting, where the only infrared sources are the ones built into the modules. 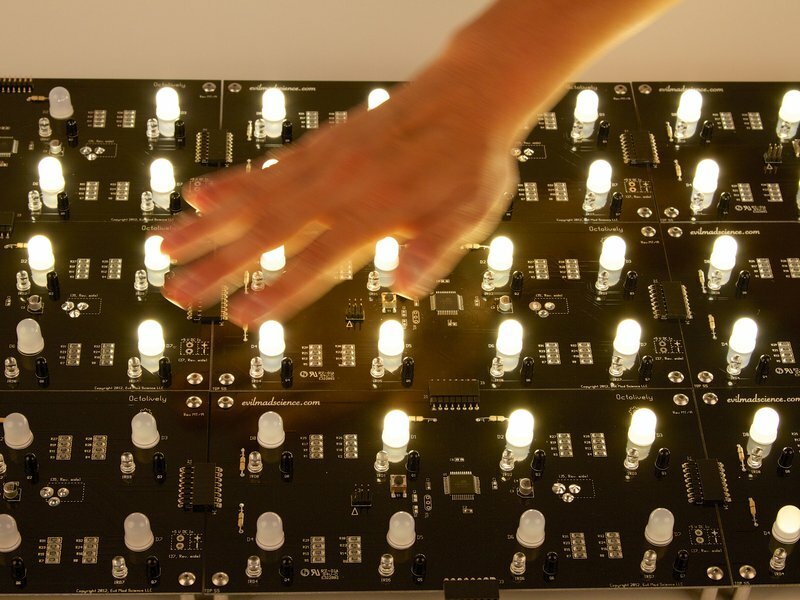 However, in the presence of infrared light sources such as IR LEDs, incandescent lamps, or sunlight, Octolively modules can respond to changes in light and shadow with essentially unlimited range. 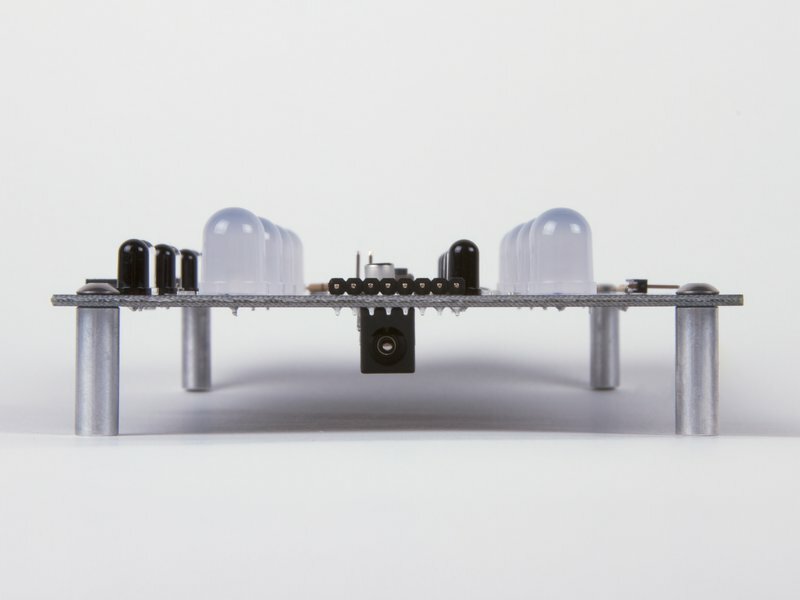 Octolively modules function well under a wide variety of clear glass and plastic materials. 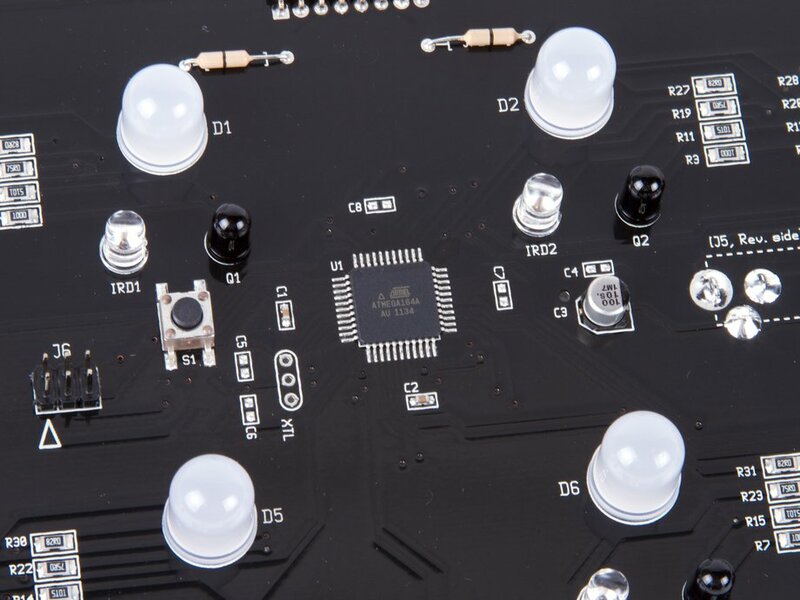 While the bulk material should be clear, the surface can be frosted to obscure the circuitry below. For example, etched glass and sanded acrylic are known to work well. Tinted materials generally decrease but do not eliminate the sensitivity of the modules, and opaque materials are generally not suitable. 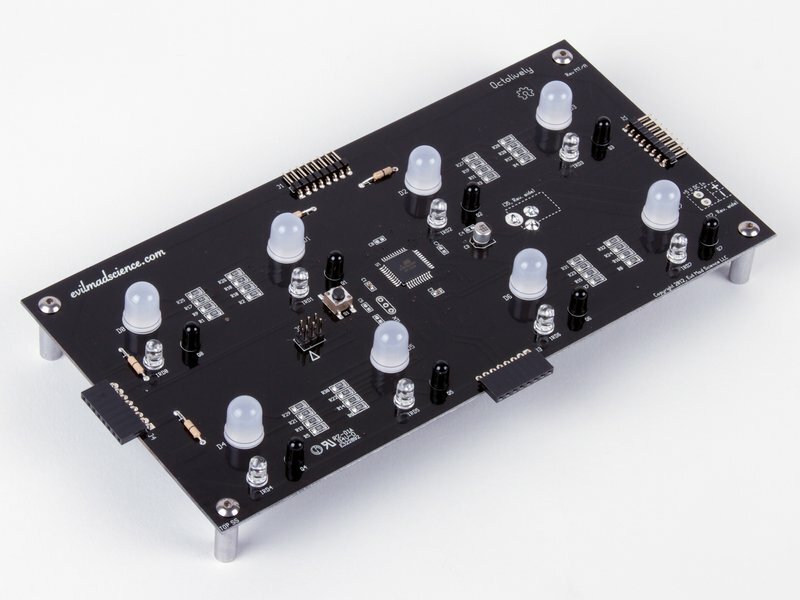 No programming is required to build and use Octolively modules— the microcontroller comes preprogrammed and ready to use. However, if you would like to reprogram it (or potentially, install future firmware versions), we recommend the use of AVR ISP programmer such as the USBtinyISP. Download Octolively Datasheet (600 kB PDF file). Octolively documentation is hosted at the Evil Mad Scientist Wiki.